Go big or go home is this year’s A/W16 trend for lashes. Warpaint pulled together some of our favourite natural and dramatic falsies designed for any occasion. SuperGlamDoll False Lashes (£5) by House of GlamDolls are the longest lashes in their collection. Made of 100% human hair and coming with a latex-free adhesive, these babies are slightly wispy making lashes appear fuller but without hiding the eye shadow behind them. 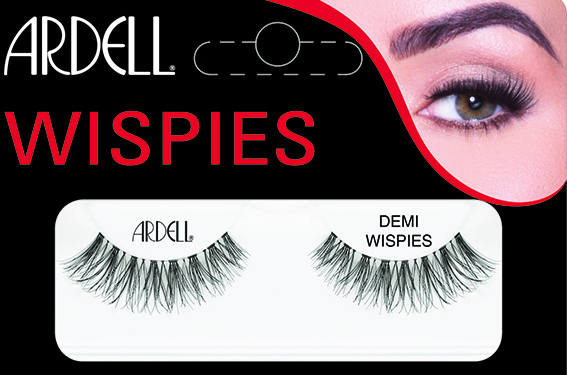 Ardell has a whole family tree of wispy falsies, with our pick being the much-loved Demi-Wispies (£5.49) which use light fibres of human hair and incorporate an invisible reinforcing band to create that natural look. For more volume, look at offerings from Eylure whose double layered version has subtle criss-cross pattern. 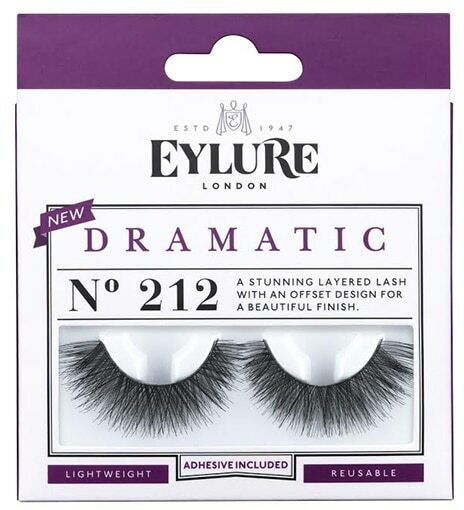 Their Dramatic 212 lashes (£7.25) are lightweight, long lasting and come with their own glue. 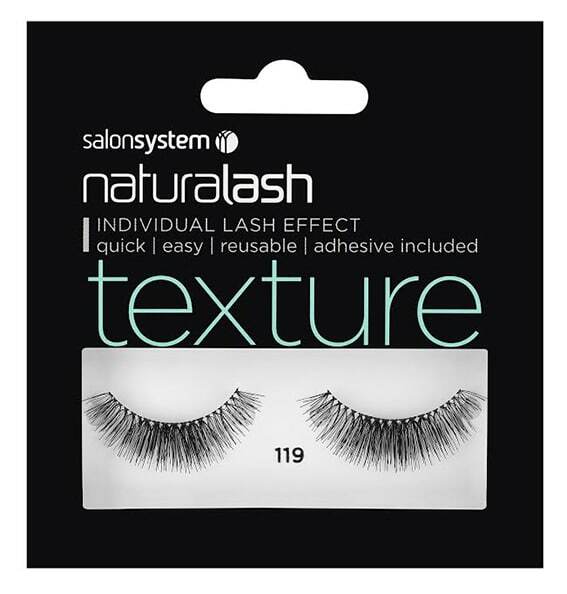 Salon Systems’ Naturalash options are a make-up artist’s dream, with the natural-haired Texture range (from £3.25) adds definition and depth, elongating the eyes to make them appear bigger and wider. One of the new additions to their collection, Texture 119, create a lash extension effect by drawing attention to the centre of the eye where the criss-cross pattern overlaps, creating bold fullness and length. 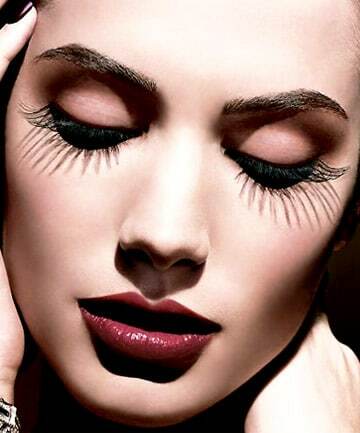 For a truly bold look, head to Make Up For Ever and their Instant Drama lashes (£14) to create a real impact. 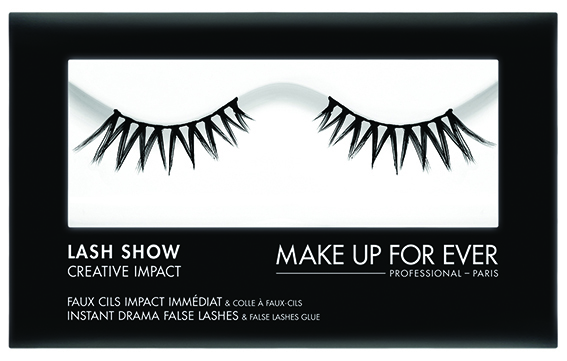 Their Lash Show products are made up of synthetic fibres and have a flexible base. We love the graphic lines and striking design of the Lash Show C-803 set. Searching for a natural everyday look? 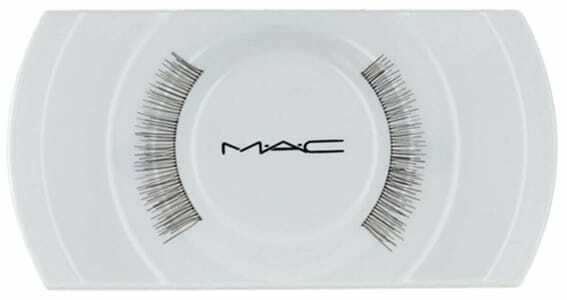 MAC has designed a pair that create extra fullness for everyday wear. Their 31 Lash (£10.50) is made frim half real and half synthetic hair, giving you an extra boost whilst still keeping it real. Illamsaqua options are great for photo shoots when you want to be daring. These synthetic and cruelty-free versions are reusable and also come with latex-free glue. We love the Grandeur lashes (£18) with their slight overlaping pattern to create volume whilst elongating the eyes’ width. Real mink is a big trend this autumn – but before you rush to call PETA, they’re created from hair strands removed by brushing their coats and are cruelty-free. 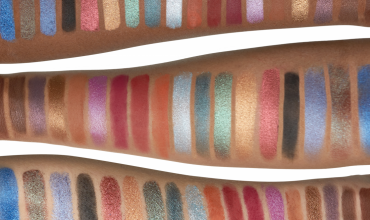 We like Skin to Skin ($29) from Velour Lashes with their invisible band for great grip. This US company has warehouses in Canada, the UK and Australia so international shipping is a doddle. If mink hair doesn’t float your boat, Velour also offers a range from 100% silk that’s an exclusive to Sephora, including their Silk Strut It ($26) set which are more flexible and have finer fibres. Silk lashes are popular for bridal because they tend to be longer and create a fuller look than synthetic ones. For clients with sparse or no lashes, ARTDECO’S Strip Lashes in 07(£11.30) are made up of natural hair and are great for framing eyes and adding lightweight, subtle volume. Once you’ve found the perfect lash, getting the right glue is key to nailing the look. 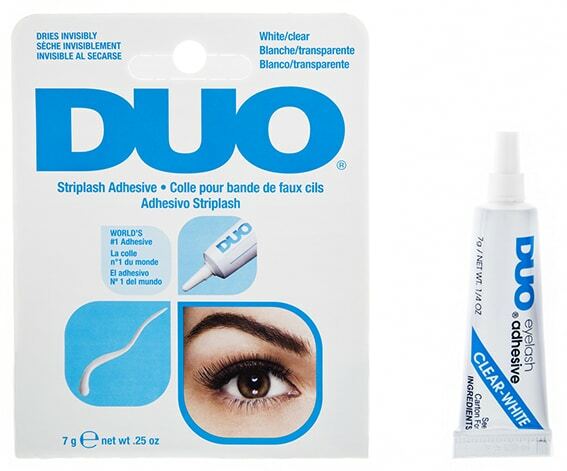 DUO Strip Lash Adhesive (£4.99), that comes in clear/white or black, is a popular choice which is latex-free and created for day-long wear. 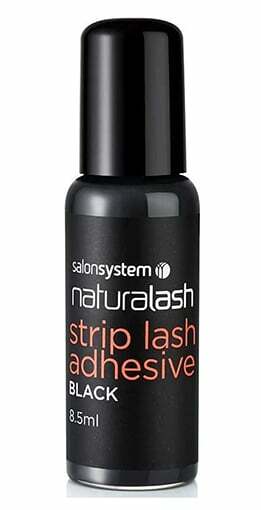 Salon Systems also has a Strip Lash Adhesive (£2.25), which dries black for a more intense and defined look, and works well with dramatic offerings to make them stand out even more.